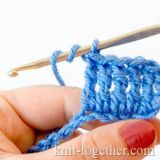 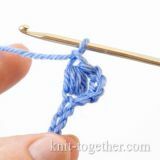 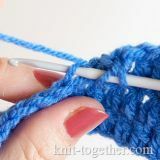 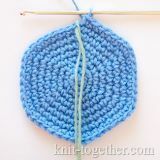 This crochet stitch is simple but beautiful. 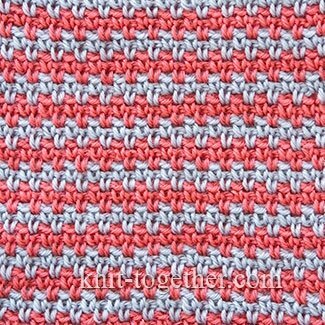 It's made of the chain stitches and the single crochet stitches. 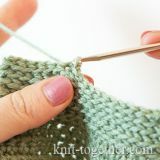 This stitches make in space of the chain of the previous row. 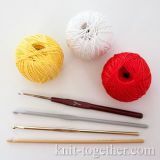 The color of the yarn changes at the beginning of odd rows. 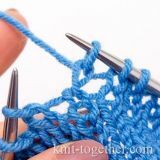 For sample make an odd number of chain stitches: the rapport of the pattern in horizontal - 2 stitches, plus 1 chain for the symmetry of the pattern, plus 2 turning chains. 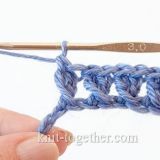 6 row (grey): 1 turning chain, 1 chain, * 1 single crochet in space of chain of previous row, 1 chain *. 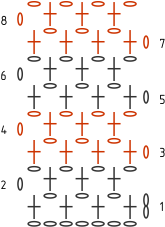 This pattern repeats from 3rd row.